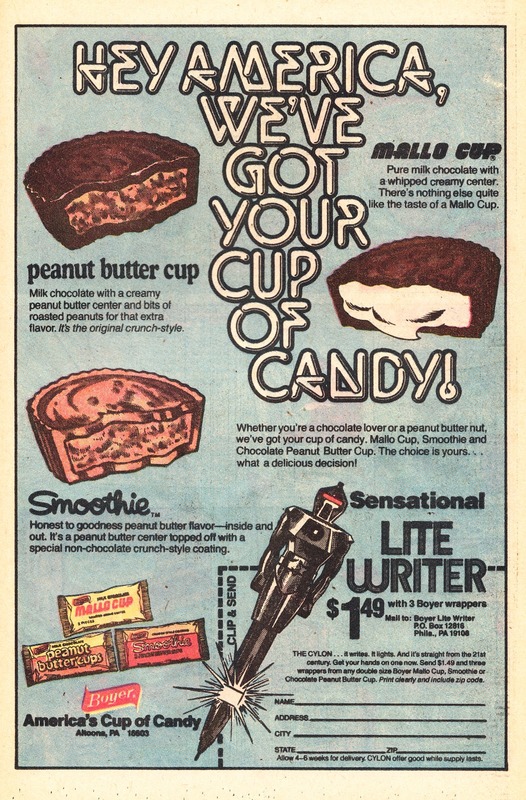 These US confectionary concoctions sound particularly bad for the midriff. But - in better news - you only had to buy three of 'em (and fork-out a princely $1.49, which sounds a lot in March 1980 monies) to secure this light-up Cylon pen from BATTLESTAR GALACTICA. I've never seen one of these pricy pens and I've no idea if they were exclusive to this mail-in offer but I bet they were highly impractical for actually writing anything. But they sound cool!